Muslim community is known to have exist in Terengganu around end of 14th century, the earliest evidence is of an inscribed stone slab dated 702AH (1303AD) discovered in Kuala Berang, Terengganu. 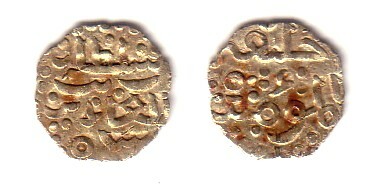 In the 15th century Terengganu became a tributary state of the Malacca sultanate. After Malacca's fall to the Portuguese, Johore claimed Terengganu as part of their territory. In 1781 Terengganu begin to send tributary gifts of gold and silver flowers to Siam as a token of friendship but Siam came to acknowledge it as a token for vassalage and then started to meddle the affairs of Terengganu. In 1909 after the Treaty of Bangkok, Terengganu came under the British protection. Became part of Malaya in 1948 and finally a component state of Malaysia in 1963. 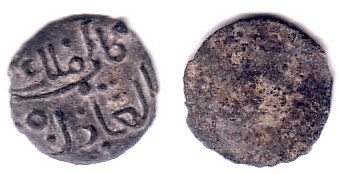 Obv : Sultan Zainal Abidin bin Mansur Shah Reverse : Malik Al Adil 1220AH = 1805AD. 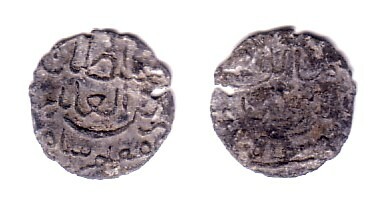 Obv : Kali Malik Al Adil (The reign of the Just Ruler) Reverse : Blank. 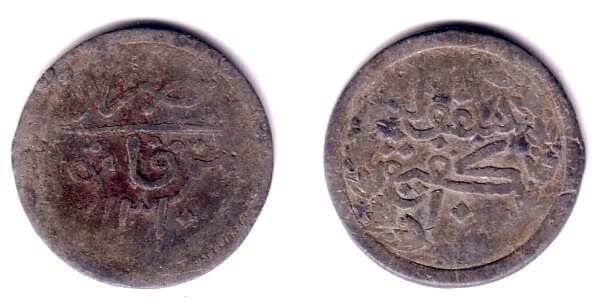 Obv : Duriba fi Trekanu 1310AH (Struck in Terengganu 1310AH = 1892/93) Reverse : Sepuluh keping 10 (Ten Keping 10) Wreath of leaves in the border.